Pinakin Logistic is Established in 2013 by a first generation entrepreneur and headquartered in NEW DELHI , PINAKIN LOGISTIC , delivering with passion & commitment across industries, through a dedicated team of empowered people, simplified processes and latest technology. PINAKIN LOGISTIC works as a catalyst for its customers' businesses by aligning the strategic and the operational perspectives & facilitating growth. We understand that supply change optimization can be attained only through the perfect management of people, place, and time. And in order to ensure this synchronization, we have a pool of vast & varied experience and highly skilled experts, with a focus on operating models that integrate functions of customers, suppliers, and end users, all. 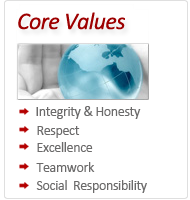 Our portfolio reflects our commitment, skill, passion and excellent service. PINAKIN LOGISTIC has incorporated work for various verticals including Industries like; Consumer Durables, Engineering, Infrastructure, Power, Pharmaceuticals, Telecom, Retail, Events, and Sports. 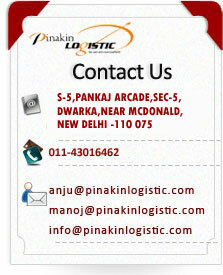 PINAKIN LOGISTIC - Why the Logo ARROW? We interpret our business of logistics to be a facilitator of Growth for our customers, and we extend services across locations around the world; that’s why the Logo of rising arrow around the world wide network of PINAKIN.